In the last two years since Kathryn Purwin last appeared in the pages of the Business Journal, she has been busy growing the company that she took over following the death of her husband. Helinet Aviation Services has added new helicopters and even drones to its fleet. 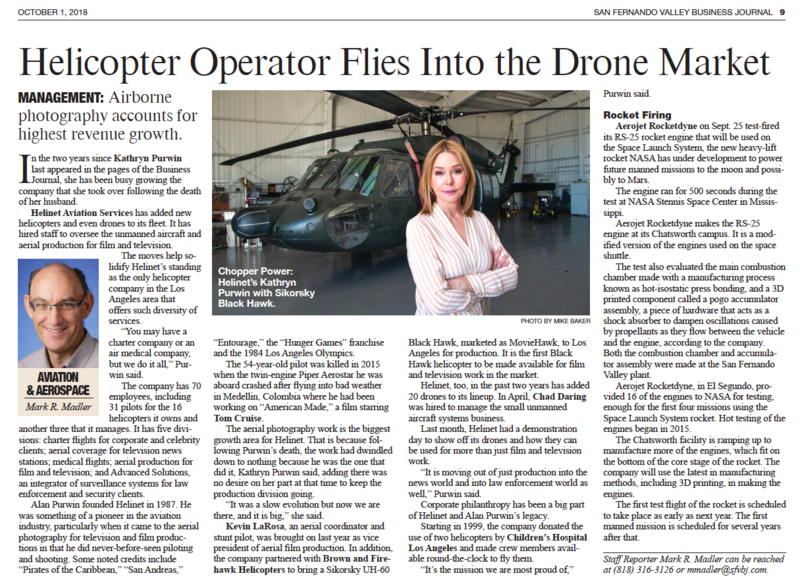 It has hired staff to oversee the unmanned aircraft and aerial production for film and television. 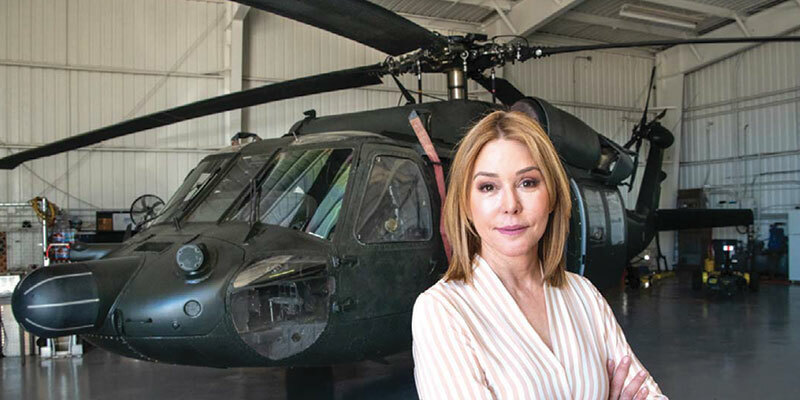 The moves help solidify Helinet’s standing as the only helicopter company in the Los Angeles area that offers such diversity of services. “You may have a charter company or an air medical company, but we do it all,” Purwin said.